Park Ave Lofts, Minneapolis is a contemporary industrial style condo building in the Mill District. Built in 2004, this 6-story, 24 unit development features chic 1-3 bedroom residences. The units at Park Ave Lofts come with the sophisticated styling of newly built condos while still retaining the industrial elements that the neighborhood is known for. Conveniently located in the heart of the Mill District, Park Ave Lofts for sale are close to restaurants, parks, attractions, and shopping. The Mill City Museum, Gold Medal Park, the Stone Arch Bridge, and the Guthrie Theater are all just steps away. Homebuyers can expect to find spacious homes with great loft features like open floor plans, concrete flooring, and exposed ductwork. Premium building amenities like a rooftop patio, workout room and private terrace only adds to the desirability of Park Ave Lofts. 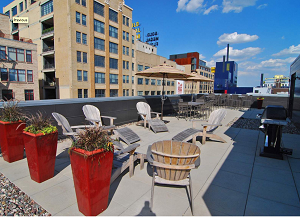 Scroll down for all Park Ave Lofts for sale in Minneapolis or learn more about the building features and neighborhood amenities that make this such a popular place to live. Looking to live at the Park Ave Lofts in the Mill District, Minneapolis but not finding what you are looking for? Inquire about our 'off MLS' Minneapolis Condo and Loft pocket listings. 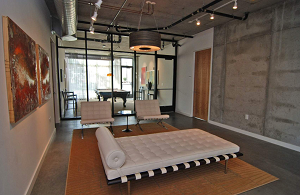 One of the benefits of living in Park Ave Lofts, is the modern amenities that are offered in a contemporary building. The shared building features are some of the best in the area. Residents have access to a 1,400 sq. ft. rooftop patio complete with grill, lounge seating, and panoramic skyline views. Other building amenities include a a 600 sq. ft. lobby, private walk-out terraces, a fitness room, and a small community room. 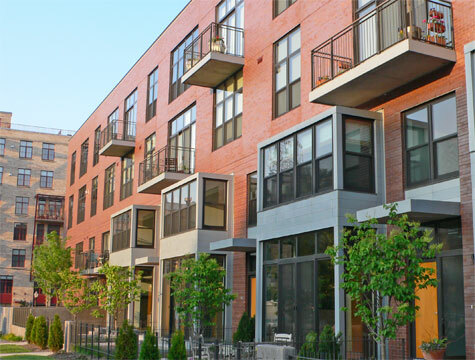 With a Walkscore of 92, residents of Parl Ave Lofts enjoy the benefits of living near lots of nearby amenities and attractions of the Mill District. Neighborhood highlights include the Hubert H. Humphrey Metrodome, Target Field, Stone Arch Bridge, and Mill Ruins Park. Also a few blocks away is a light rail station, for easy commuting within Minneapolis. Restaurants: Sawatdee, Spoonriver, Kindee Thai Restaurant, The Old Spaghetti Factory, Vic's Restaurant, Sea Change, Sanctuary Restaurant, Wasabi Fusion Restaurant, Crooked Pint Ale House. Shopping: Gaviidae Common, Macy's Nicollet Mall, Saks Fifth Avenue OFF 5th, Lund's, Downtown Market & Deli, Local D'Lish, Target, Whole Foods. Schools: Fair School Downtown (public, K-12), New Horizon Academy (private, PK), DeLaSalle High School (Catholic, 10-12), Bernie's Montessori School (private, PK), Marcy Open Elementary School (public, K-8).